They say it’s good luck to rain on your wedding day. And if that’s the case, Alyssa and Thomas are off to a great start. 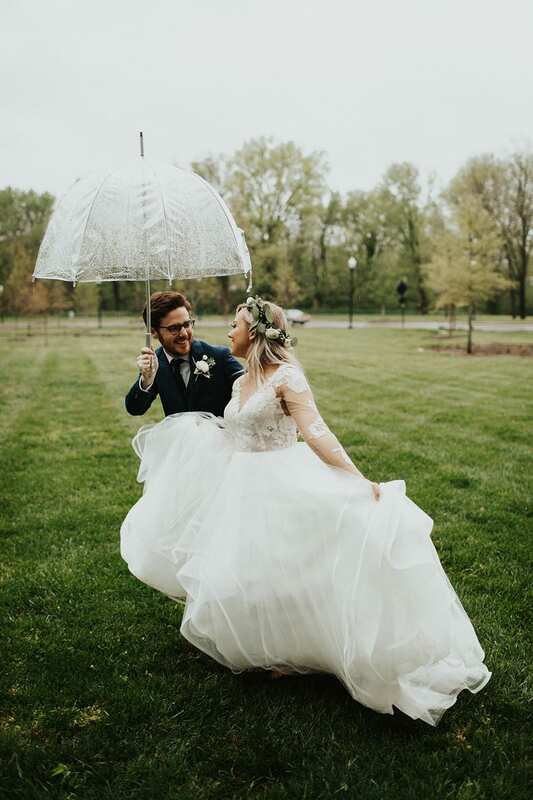 This couple truly embraced the rain in the best way possible by dancing the night away in our lush garden and cuddling up under a clear umbrella for some incredible photos from Janelle Elise Photography. Alyssa wore the Elysia dress by Hayley Paige which looked absolutely stunning paired with her bridesmaids in BHLDN gowns. Every detail of the wedding was thoughtful from the lush floral, to the clean lines of the acrylic ghost chairs draped with golden “bride” + “groom” chair signs. This wedding exudes lush, modern, garden April showers with a sophisticated Nashville edge.